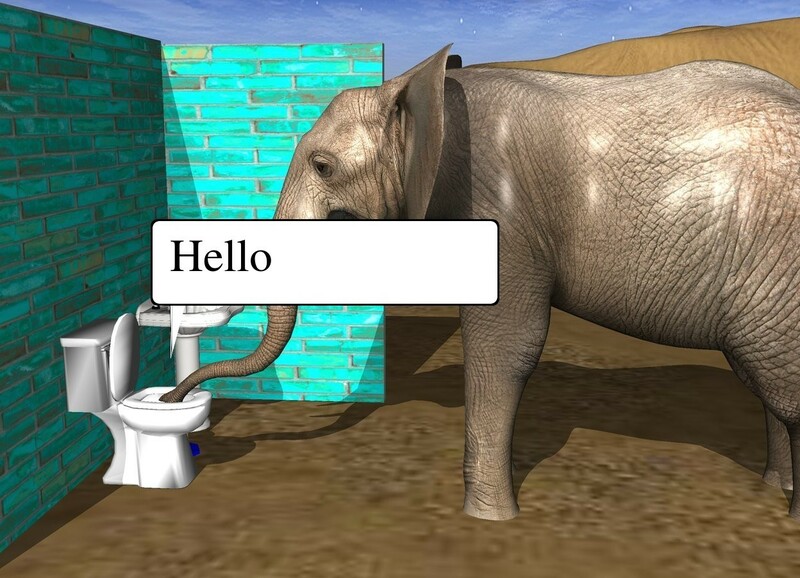 Input text: the elephant is -3.5 feet in front of the bathroom. it is facing back. it is .5 foot in the ground. fun using place vignettes. Makes it easy to use simple language on the phone and get interesting scenes.